The article shown below was published in The Post in the July 16-22 edition. 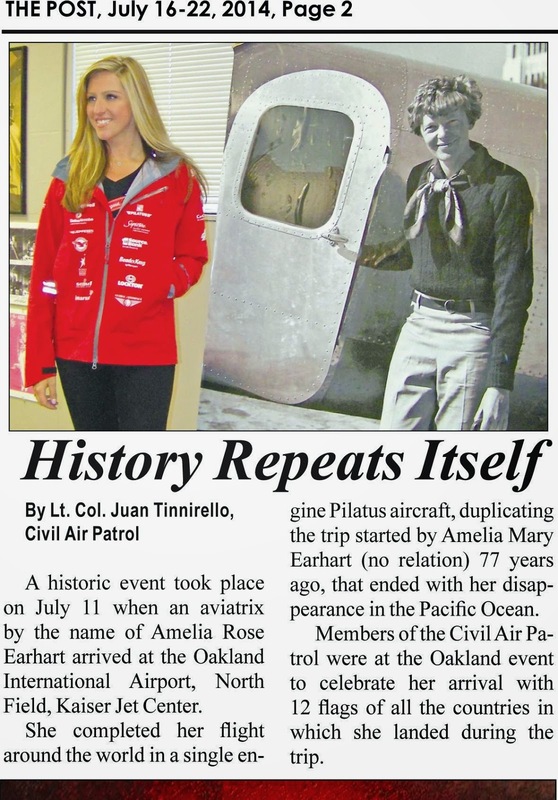 A more detailed description of Squadron 188's involvement in this historic event welcoming Amelia Rose Earhart back to Oakland to follow. In addition, the San Jose Mercury News has a great photo gallery of the event, which can be viewed here.